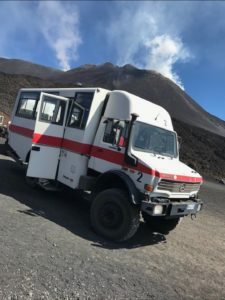 With the cableway and special 4 × 4 vehicles, Mercedes Unimog, you will reach the summit area of ​​the volcano just below the central crater, Etna Central Crater excursion. Departure with our vehicles from your hotel or from our meeting point, up to the north or south station, altitude 2000 meters. Equipment required: shoes, jackets and lamps, should you need them, they will be provided free of charge by us. 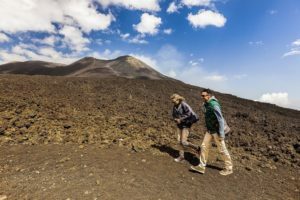 The tour (Excursion Central Crater Etna) includes: transfer, jeep, cable car, guide and clothing. For information and reservations contact us at +39 3207818434 book directly.